Within Teamwork Projects, discount codes can be applied during the checkout process. Note: Teamwork provides discount codes on a case by case basis to non-profit and educational organizations. To apply a discount code, click your profile icon in the top right corner of your site, and select Subscription from the dropdown menu. The subscription page will show a breakdown of your subscription status. 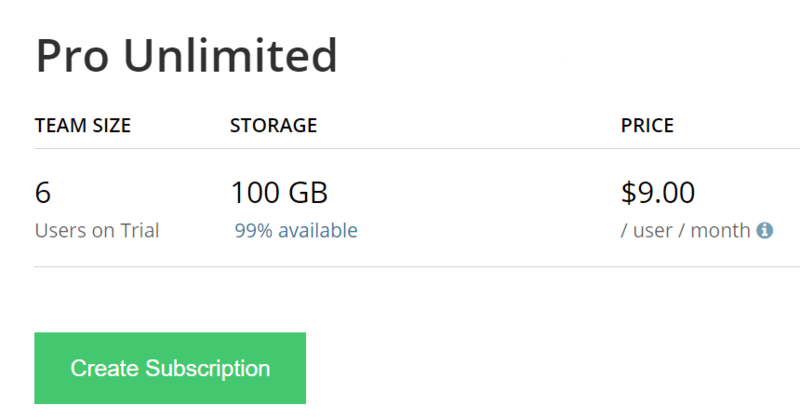 To set up a new subscription, click the green Create subscription button. 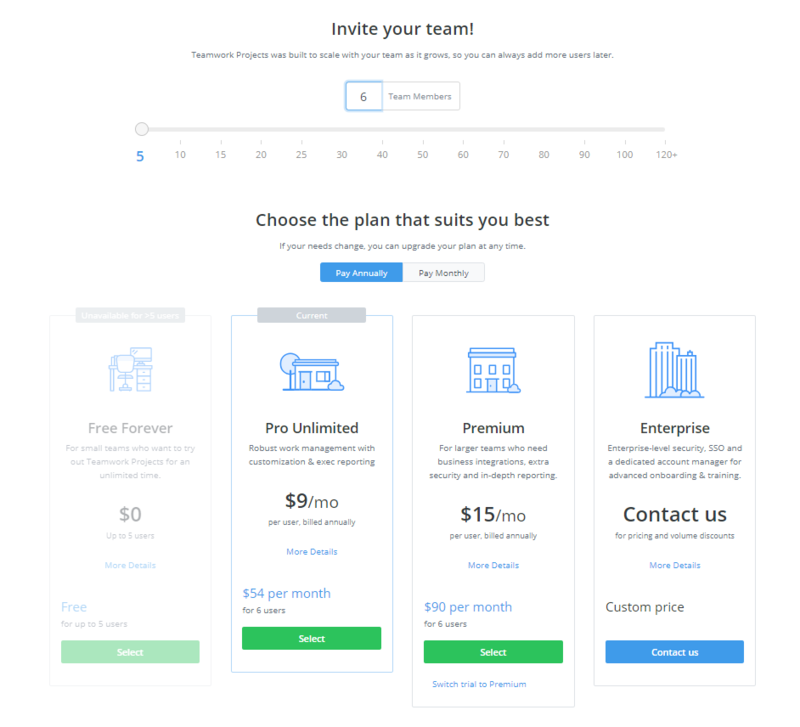 The subscription process will allow you to select both your team size and plan. You will see the available plans listed with their corresponding details. You can choose whichever plan suits your needs and click the Select button to go through to the online payment checkout process. Once complete, click the blue Continue button. The order confirmation page is where you can add your discount code. Below the order summary, select the I have a discount code checkbox to reveal the discount field. Enter your code and click Apply Discount. Once applied, select Purchase subscription to complete your order. For existing customers on a paid plan, select Update subscription from your subscription page to apply a discount code. Choose Full checkout at the top of the popup modal to access the checkout page. 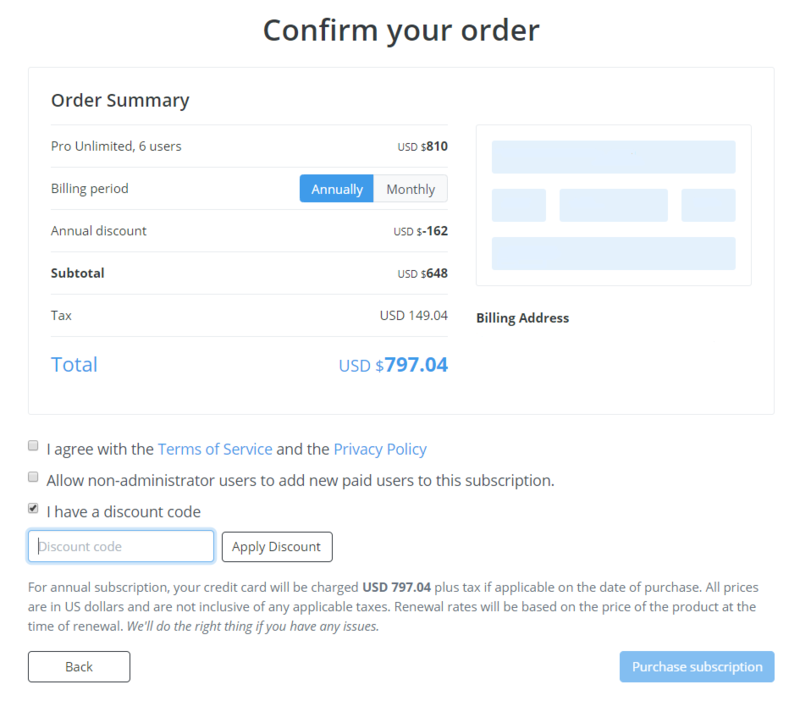 Similarly to new subscription, you can add your discount code on the order confirmation page by selecting the I have a discount code checkbox and entering your unique code. Note: For existing subscriptions, discount codes are applied to future changes made to your subscription only. They do not apply to previous invoices in your subscription.